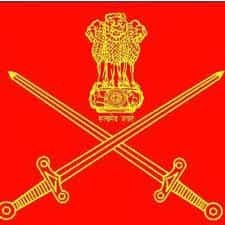 Indian Army JAG Entry Scheme (JAG 21st course) 2018 – Indian Army has released the Online Application form for the Law Graduates Unmarried Men and Women for SSC (Short Service Commission) in Indian Army for Judge Advocate General Branch. The application process has been started from 16 January 2018. Only those who clear the first Stage will go to the second Stage which will be followed by medical test. The application form can be filled in online mode only there is no offline mode available to fill the application form. The total numbers of vacancies available are 14 only. The last date to apply is 13 February 2018. Get here the complete details like eligibility criteria, application process, the selection process for Indian Army JAG Entry Scheme (JAG 21st Course) 2018. Age: Candidates should be 21 to 27 years old as on 1 July 2018. The interested candidates should have secured minimum 55% aggregate marks in LLB Degree. It can be three years professional after graduation or five years after 10+2 examination. The candidates should be eligible for registration with Bar Council of India/State. Candidates should be from a College / University which is recognized by Bar Council of India. Height and Weight- The minimum height and weight consideration for male candidates are 157.5 cms and correlated weight and that for the female candidates is 152 Cm and 42 KG. The North East and Hilly areas residents will get a relaxation of 5 Cms. For candidates from Lakshadweep, they will get a relaxation of 2 cms. Candidate should be in a good physical and mental health and free from any disability to pass the fit. Tattoo- Permanent tattoos are allowed only on the inner forearm or on the reverse side of palm/back side of the hand. Note: The withdrawn candidates from the IMA/OTA/Air Force Academy and Naval Academy will not be eligible to apply. The application process for the JAG 21st Course has been started from 16 January 2018. Candidates can fill the application form only is the online mode. The last date to apply is 13 February 2018. Candidates need to fill the online application form before the due date. Here we are giving the steps to fill the online application form. STEP 1: For filling the online application form, first of all, candidates need to visit the official site or click on the link given below. STEP 2: Now the candidates need to fill the online registration form only after being eligible for it. For that, first, the candidates have to check their eligibility by filling the required details. STEP 3: Now if the candidates will be eligible then the “Application Form” page will get opened. Read the instruction carefully and click ‘Continue’. Now the candidates need to fill details, Educational details, personal details and details of Previous SSB. Then click on ‘Save & Continue’ each time before going to the next segment. STEP 4: After filling all the details on the last segment candidates will move to the page ‘Summary of your information’. Here candidates can check and edit the entries already made. After checking all the details click on ‘Submit’. After submitting candidates should click on ‘PDF’ and take two copies of the application form having Roll No and other details generated by the system. Note: Candidates should keep in mind that once the details have been submitted, will not be changed under any circumstance and No representation in this regard shall be entertained. The Candidates need to submit the application form in online mode only. There will be no offline process to submit the application form. Candidates must click on "Submit Now" button after filling in all the details correctly on the Application form. After Submitting the application form, the candidates should take the printouts of the PDFs of the duly filled in Application Form and keep it safe till the selection process gets over. The admit cards will not be sent to the candidates through post. After applicants will be shortlisted, the Centre allotment will be intimated to them through the mail. The Call letter for SSB interview will be issued by respective Selection Centre on the registered e-mail id of the candidates and through SMS. So, the candidates need to provide a valid email id and phone number at the time of filling the application form. Short listing of Applications (First Stage): – Integrated HQ of MoD (Army) will select the candidates on the basis of their application. As it reserves the right to shortlist applications and fix cut off the percentage of marks without assigning any reason. After applicants will be shortlisted, the Centre allotment will be intimated to them through the mail. After the centre is allotted to candidates, they will have to log in to the website and select their SSB dates. It will be done on a first come first served basis and through the link forwarded via email. Second Stage: Only shortlisted candidates will undergo SSB at Selection Centres. The SSB will be performed by the psychologist, Group Testing Officer and Interviewing Officer. The Call letter for SSB interview will be issued by respective Selection Centre on the registered e-mail id of the candidates and through SMS. The candidates who will clear the SSB will undergo the medical examination. It will be performed by a Board of Service Medical Officers. For the female candidates, the medical Examination will be performed by a Medical Board comprising male/female doctors/specialist/gynaecologist. There will be a Lady Medical Officer as the member of the board. The candidates who get the approved Medical documents from Directorate General Medical Services in Directorate General Medical Certificate will be considered medically fit. Online application form printout duly signed and latest photograph affixed on it. One Copy of Matriculation or equivalent certificate for age proof and Class 10th MarksSheet. Copy of 12th Class Certificate & Marks Sheet. Copy of Graduation Degree/Provisional Degree and copy of MarksSheets of all years/semesters. Copy of LLB Degree/Provisional Degree. Copy of Marks sheets of all years/Semesters. Copy of registration with Bar Council of India/State/Certificate from college/university that the LLB Course in the said institution is recognized by Bar Council of India. All above-mentioned certificates are required in the original. Originals will be returned after verification at the Service Selection Board. Candidates who will clear all the stages of the recruitment process will undergo training at OTA Chennai. Candidates will be paid full pay and allowance at the time Training. The duration of the training will be 49 Weeks. After completing the training period at OTA Chennai, the candidates will be awarded “Post Graduate Diploma in Defence Management and Strategic Studies” by the University of Madras. Aadhar Card: All candidates are required to have their Aadhar cards with them prior to joining in the training session. The centres at which SSB will be conducted. Candidates are required to reach the SSB centres with their listed above documents. The given below are the perks and promotions of the Indian Army JAG Entry Scheme of the candidates. Candidates can check the promotions, Pay scale and allowances given below in detailed version.